When you suffer from illness or injury which causes loss of function of mobility or pain in your body, your doctor will refer you to a Physical therapist. The latter will help you in improving your capacity to function and she/ he may utilize different therapeutic modalities to enhance your rehabilitation program. Electrical stimulation is a type of therapy which performs various purposes in physiotherapy. It may be used to reduce inflammation and pain, enhance circulation and help muscles for contracting properly. The method of treatment should not be the sole modality of treatment but must augment other methods. 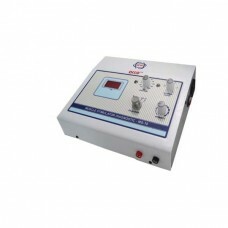 One consideration is electrical muscle stimulator price in India. TENS refers to Transcutaneous Electrical Nerve Stimulation, which is a kind of electrical therapy, utilized to help reduce chronic and acute pain. This method works by interrupting or changing painful signals which traverse from tissue that are injured to your brain. The method is to place electrodes over painful parts of your body where electrical signals will change pain signals to your brain. IFC is a kind of electrical simulation that may be used by your physical therapist to reduce your pain and enhance circulation in injured tissues. This method works just like TENS but the advantage is that the current can be easily varied and moved to target the place where most pain is experienced. It is an electrical stimulation type which makes use of electricity for contracting muscle tissue. Following surgery or injury, you may experience muscle weakness. Mostly, muscles may be hampered following an injury. They may not be capable to do a deliberate contraction. This method is utilized to help make better muscles’ contraction. It is a kind of Mini Muscle Stimulator. Electrical stimulation of high voltage type may be used by the Physical Therapist to reduce pain and enhance circulation. Occasionally, it can be used to aid wound healing. The general fact is that high voltage stimulation help alter the type of cells near your wound, which can speed up healing. It is a kind of electrical stimulation that is used to deliver medication to inside the body through the skin. Some medication like dexamethasone can help reduce localized swelling, reduce inflammation and reduce muscle spasm. Some other medicines used by this treatment can help reduce calcium deposits and to manage scar tissue. These are all types of electro- simulation therapy. Hi his dad new member! I must declare that this particular article is awesome, good authored and may include the majority of important infos.. incised wound I would like to appear more blogposts this way . Superb article. I used to be looking at continually this blog with this particular prompted! Helpful info exclusively the ultimate component 🙂 I tackle these facts a great deal. I was searching for that information for a pretty lengthy time.. bleeding Thanks as well as with good luck.